I spoke about my love of autumn on Friday and another thing I love about the change of seasons is re-vamping my wardrobe. I have a check list of essentials that I try and shop for each season. I have bought a few bits over the past week that tick off some of my list and help to Autumn-ise my wardrobe. I loved this little dress from Newlook so much I bought it in two gorgeous Autumny colours, I think they will be great with black tights and boots, with a cardi or under a jumper as a skirt. I have been searching for a winter handbag and this one ticked all my boxes, perticularly with two strap options. These boots are from Newlook's Wide-fit range, which are great for me as lots of tall boots don't fit my calves and I had to throw out my favourite boots last winter as I wore them so much I split the heal. I wish they were grey, not beige, but they do have them in black too so maybe if I wear them enough I will get the black pair too. My Mum actually bought me this scarf from Accessorize as a gift on a recent shopping trip and I love it. She knows I love stars so she said she had to get it for me. It is so soft and snuggly I can't wait to wear it. I always find it really hard to find winter coats that I like, especially in my favourite neutral colour grey so this one is perfect for me. I really like that it can be smart or casual. A little hint for plus sized girls, I buy my tights from Evans in the largest size they do, which I think is 3, they are the best tights and so much comfier than any others I have tried. What clothes are you looking forward to adding back into your wardrobe? I can't wait to get my feet in a cosy pair of socks and boots! 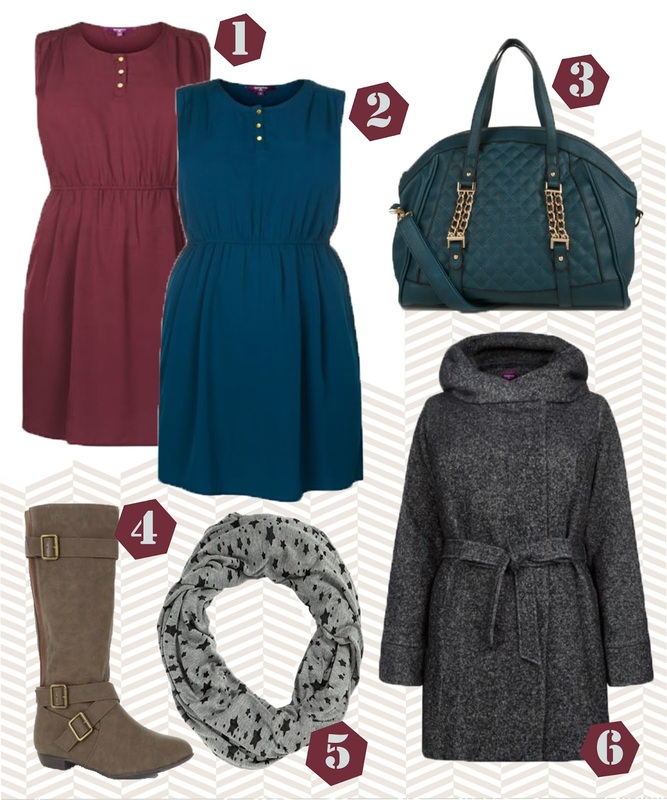 What a lovely set of things :) I love autumnal clothes so I'm excited to start doing some shopping! Thanks Niina, We love any excuse for a bit of retail therapy!